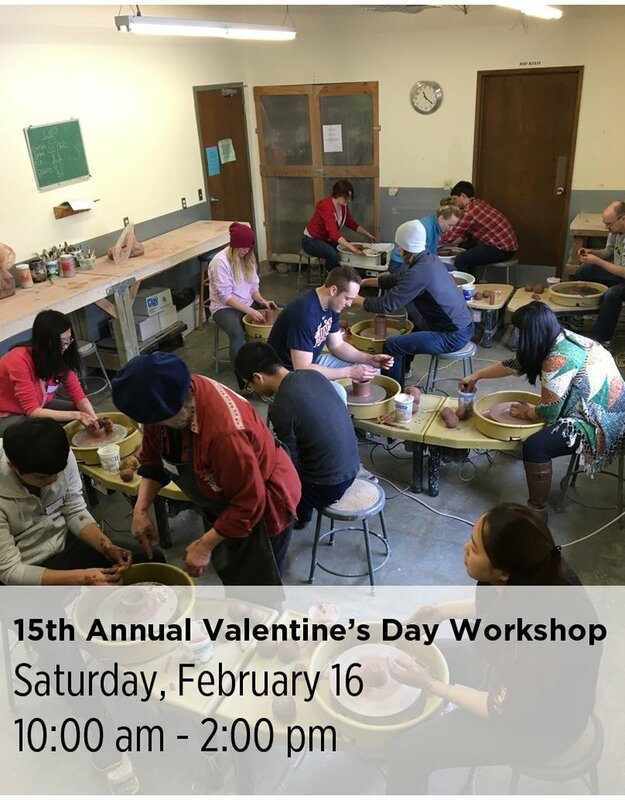 Date: February 16 Day: Saturday Time: 10:00 am - 2:00 pm Instructor: Lucy Yogerst Description: Roses are red, violets are blue, our pots are hot, and so are you! We’ve got you covered this Valentine’s Day with a weekend full of workshop opportunities. Register early for this popular pottery experience. You will cover the basics of throwing pots on the wheel and enjoy a small meal from a local restaurant, and some yummy deserts. Novices and experienced potters are welcome. All materials are included. Students can expect to make 3 – 5 pots and decorate them using colored slips or textures. The $115 fee includes meals, instruction, and materials for two adults. Pots will be fired at NCC and ready to pick up about two weeks later.